Wates Residential, has started work on its fifth site to bring new homes – and jobs- to Cardiff as part of the Council’s flagship housebuilding programme. The work marks a major milestone in the ‘Cardiff Living’ programme, a 10-year partnership between Cardiff Council and Wates Residential which will see the development of 1,500 homes across a number of sites in the city. The Walker Mews site in Llanishen will provide a further boost to the area’s affordable new homes offer, with 16 properties to be completed by summer 2019. Four of these will be made available for council affordable rent, while the remaining three-bedroom properties will be predominantly for open-market sale with a small number for private sale. Improvements will also be made to the access road and footpath into the site from Fidlas Road. Wates Residential’s presence in the local area has created a number of job opportunities including several new positions that have been filled by participants of Wates’ accredited Building Futures programme. 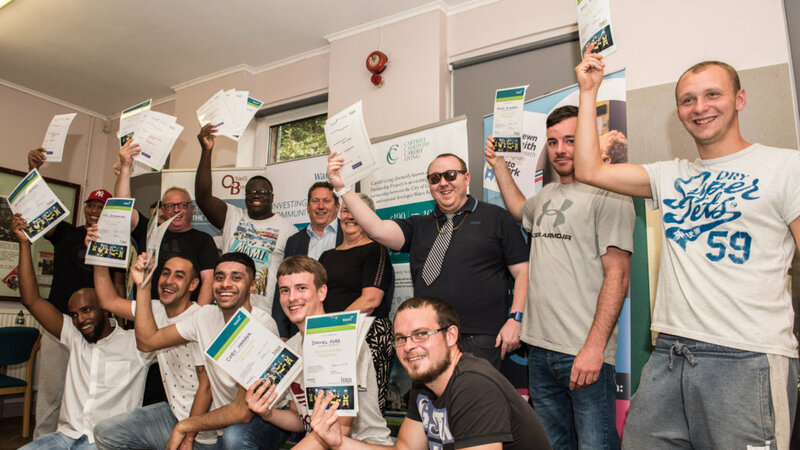 The free two-week course, which was held in Cardiff this month, provides basic construction training and helps unemployed adults develop skills to help them make the transition into employment or further training. The programme saw 13 people graduate at a ceremony attended by Wates Residential South Managing Director, Paul Nicholls, and Councillor Lynda Thorne, Cabinet Member for Housing and Communities. All of the participants received a BTEC Level 1 Certificate in Construction and Health and Safety. 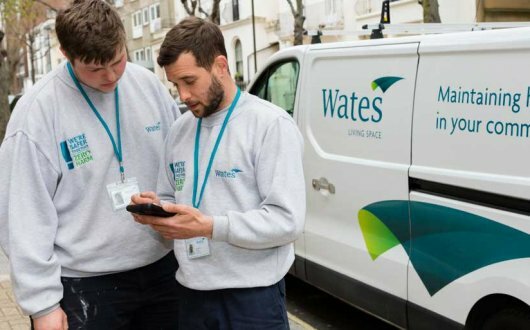 Two jobs and three apprenticeships with Wates and its supply chain partners have either already been filled or are expected to be filled by the graduates, while two others have secured work in the Cardiff area. As part of the ongoing partnership, Wates Residential and Cardiff Council have also made a joint pledge to support the local economy through investment in other employment and training opportunities. To date, 47 local people have benefitted from training and employment opportunities, while £5.5 million has been generated in economic, environmental and social value. Activities have included on-site apprenticeships, work experience placements and structured training programmes. The developer’s ongoing work in the city includes more than 100 homes on the Braunton Crescent (Captain’s View) and Clevedon Road (Captain’s Walk) site in Llanrumney and 192 mixed-tenure homes at the Silvervale Park development at Willowbrook West in St Mellons. Work is also underway at Ty To Maen in St Mellons and Mount Pleasant Lane in Llanrumney. All of the homes built through ‘Cardiff Living’ will meet high levels of sustainability and energy efficiency to help tackle fuel poverty. The Walker House development will deliver much-needed new homes for local people in Cardiff and starting on the site marks a major step in our transformative programme of housebuilding with Cardiff Council. Investing in training and education, and organising courses like the Building Futures programme, are just some of the ways we hope to deliver a lasting legacy for Cardiff as we build these new homes. The Cardiff Living scheme is really gathering pace now with work underway on the Walker House site. Our other developments with Wates Residential are progressing very well across the city too and it’s an exciting time with our first affordable homes due for completion before the end of the year. Along with other Council initiatives to address housing demand, Cardiff Living is bringing new, high quality, affordable homes to the city for people who need them most and significantly contributing to our target of delivering 2,000 new council homes in the city.